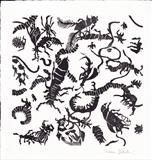 Here is the same piece of work seen with more of the prints in cellaphane packets with their seeds - an invitation to participate. 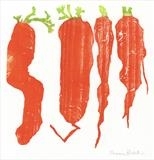 This piece of work invites the viewer to participate in growing their own food. 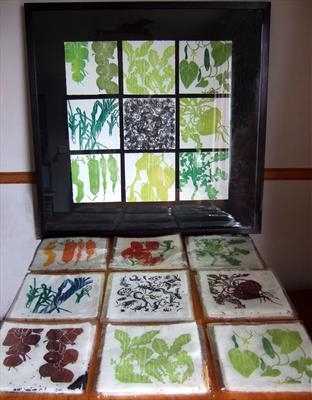 A series of cellaphane packets containing seeds of the featured vegetable are displayed in front of a framed collection of the same vegetables. 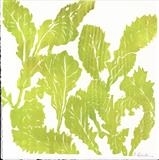 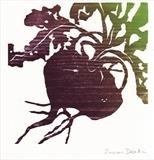 The artist is a passionate vegetable grower and hopes to share this passion with others through the medium of print.